Do you know what all of the lights on your dashboard mean? This handy guide can help. Arrrrg! The engine won't start and every single warning light on your dashboard is lit up like the aurora borealis. This obviously doesn't indicate good news. As you sit there waiting for recovery you may find yourself wondering 'what on earth do all of these lights mean?'. Knowing what each light represents and what it means can help you avoid a car breakdown or even full engine failure. 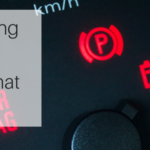 In this article, we'll take you through all of the common warning lights on a dashboard and what they mean.